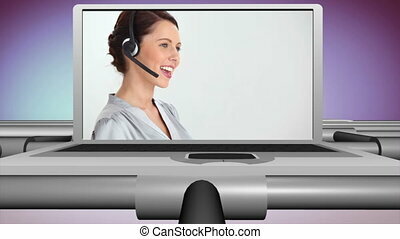 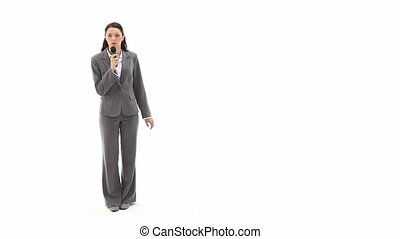 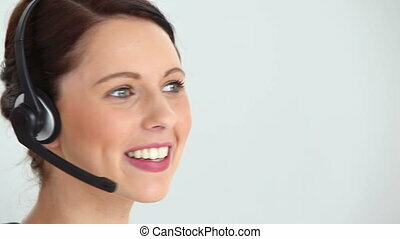 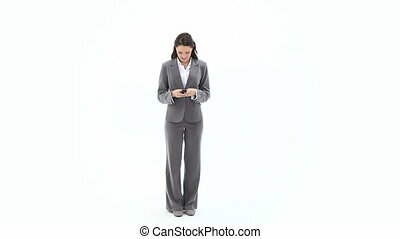 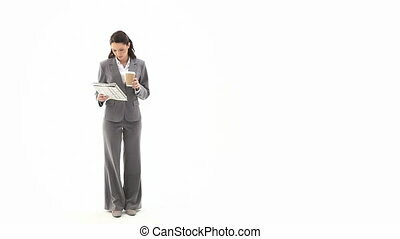 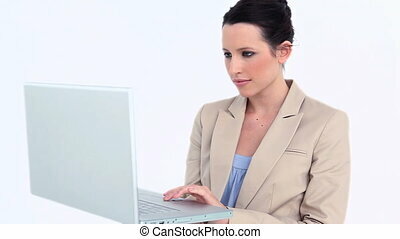 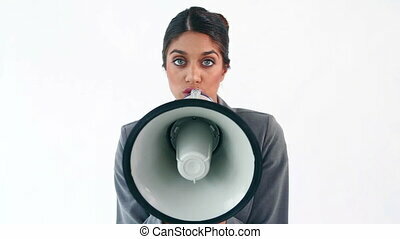 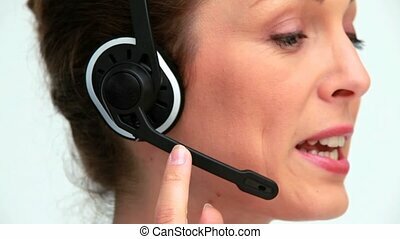 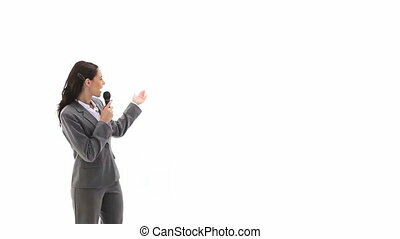 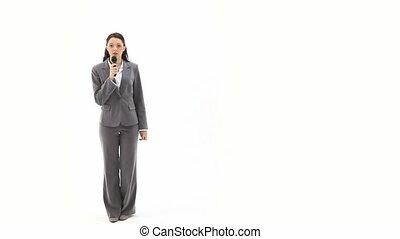 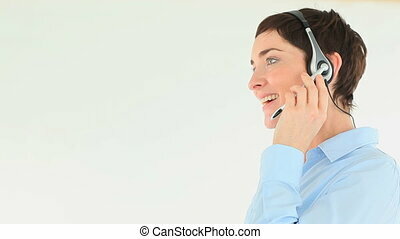 Businesswoman using a headset device against a white background. 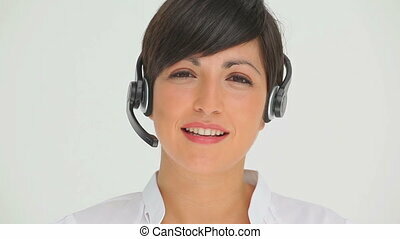 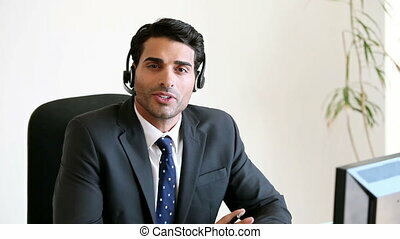 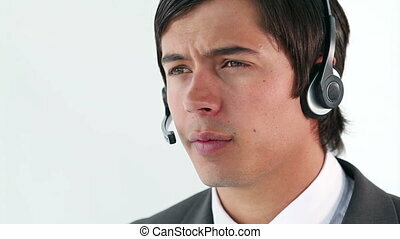 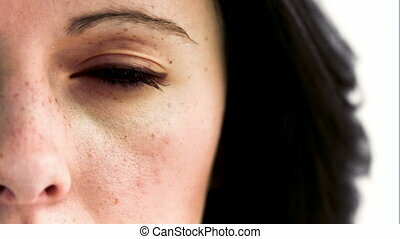 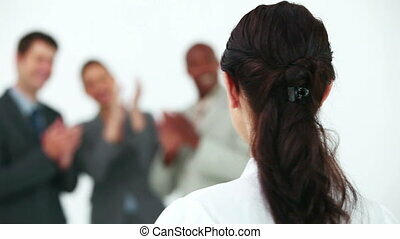 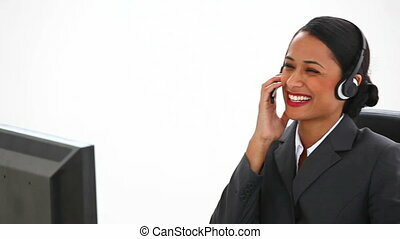 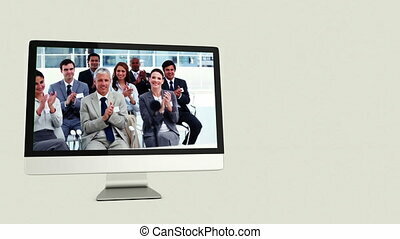 Businesswoman in the office with headset is talking to a partner using IP telephony. 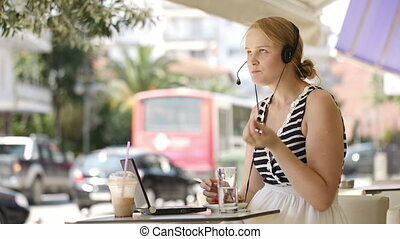 Originating camera Sony PD 170, tape speed 25 FPS, recording format DV, aperture 3,6, shutter speed 1/50. 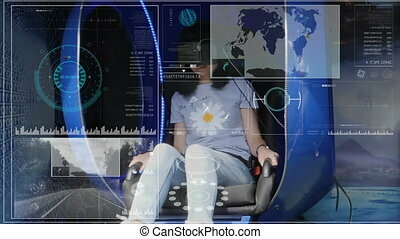 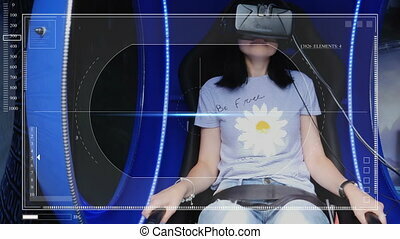 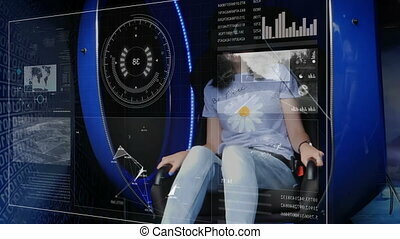 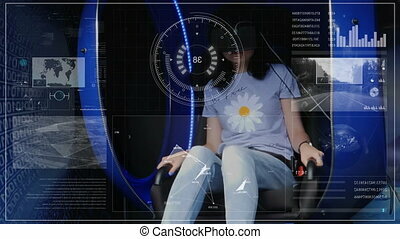 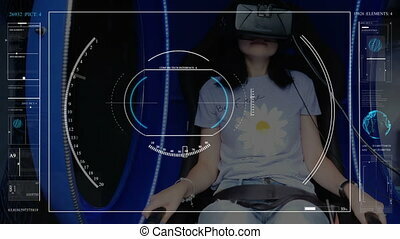 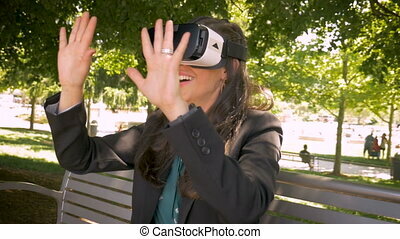 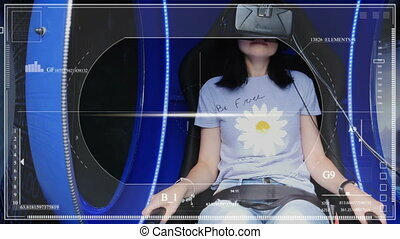 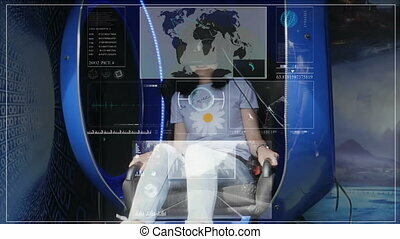 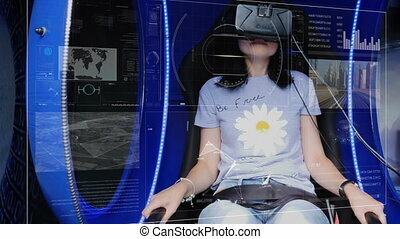 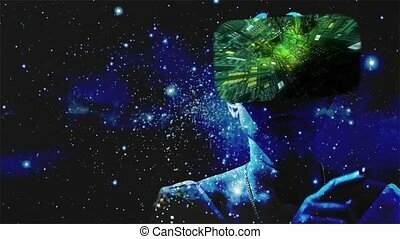 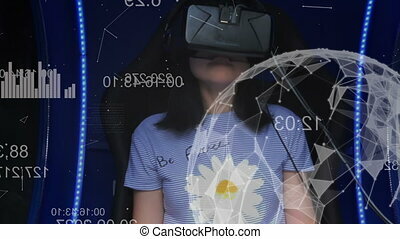 A girl in a virtual reality headset, sitting in a chair, interacts with a Futuristic holographic interface. 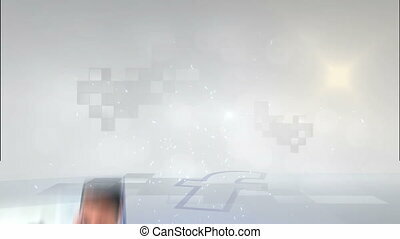 hud.